Oriental Medicine or Traditional Chinese Medicine (TCM) is the oldest, continuously practiced medicine in the world and is used by over one quarter of the world’s population as a primary health care system. TCM is comprised of acupuncture, herbal medicine, nutrition, body work such as tui na and meditation. Oriental medicine works by reestablishing balance and harmony within the body. Oriental medicine explains that human beings have a natural flow of energy (Qi, pronounced chee) through the body, which can become blocked or imbalanced, thus producing pain and disease. Blockages and imbalances can be caused by a variety of factors including influences outside of the body (i.e. bacteria, contagious disease, trauma, repetitive strain, injury, etc. ), lifestyle (improper diet, not enough/too much exercise, over work), and emotional issues (stress, anxiety, grief, anger, etc.). 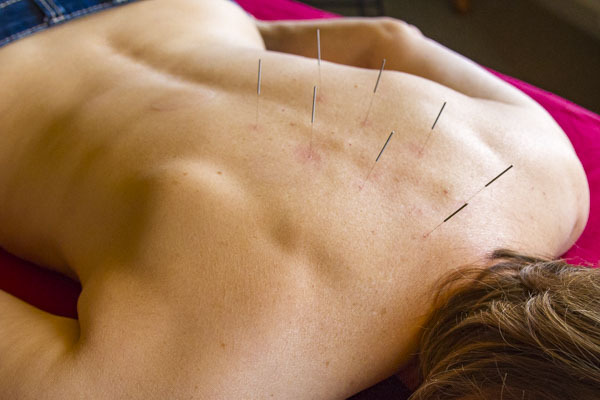 The term acupuncture describes a family of procedures involving stimulation of anatomical points on the body by a variety of techniques. The technique that has been most studied scientifically involves the insertion of very thin, hair-like needles into the body at specific points along distinct channels of energy (called meridians) that cover the body somewhat like the nerves and blood vessels. People experience acupuncture differently, but most feel no or minimal discomfort when the needles are inserted. Some people are energized by treatment while others feel relaxed.